Expertise with DC motors is becoming a rarity in today’s world. 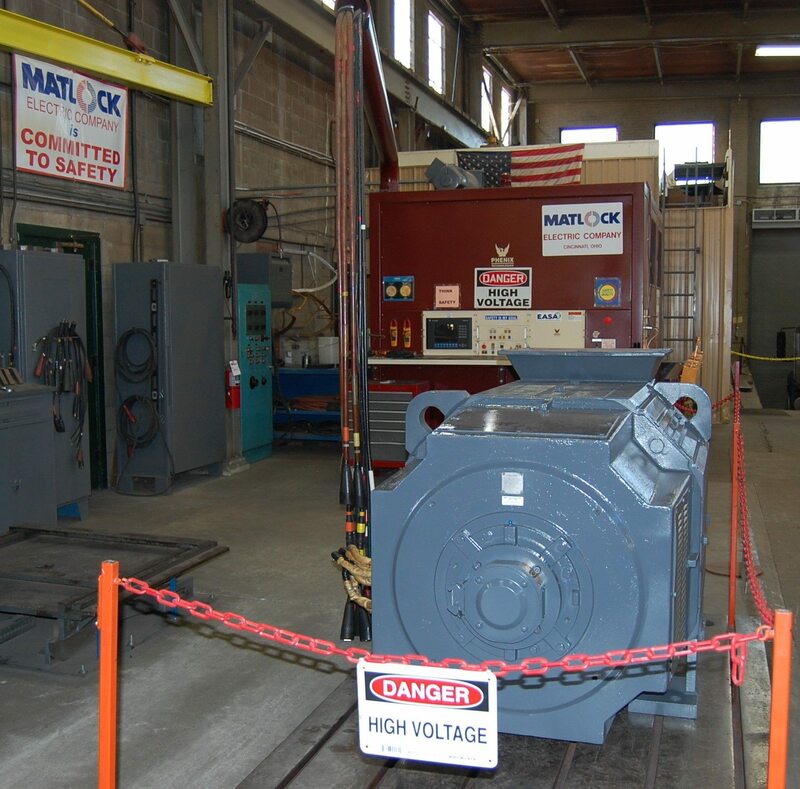 While many electric motor facilities are moving away from repairing DC motors, DC equipment repair has become a specialty at Matlock Electric. With over 500 years of collective technical and practical experience, our highly trained work force provides a wide variety of services to industrial clients and other motor repair centers for DC products throughout the region. DC motors need frequent maintenance due to various speeds, types of loads and contaminants, in addition to normal brush and commutator wear. Our careful examination and special test procedures using surge, high frequency, hipot dynamometer, PDMA and megger testing are fundamental at Matlock. 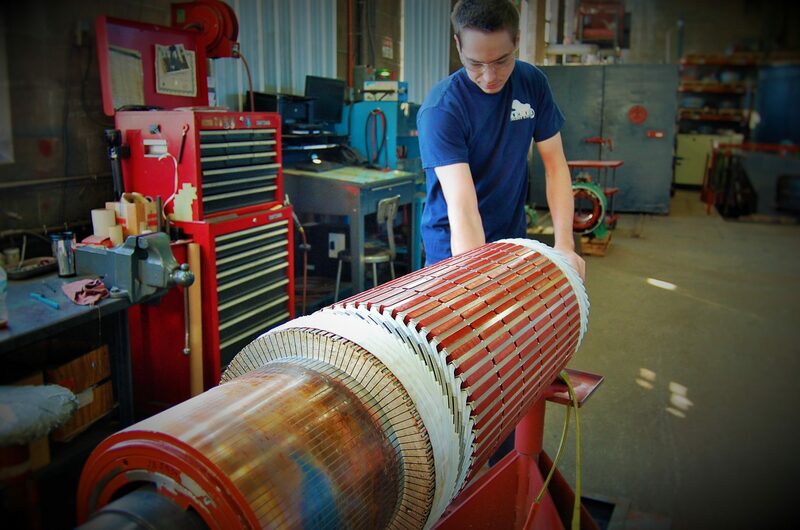 Precision tolerances and proper brush grades are required to maintain good commutator and brush life. Small problems left unattended often turn into unexpected failures and production breakdowns. Our DC department follows meticulous repair specifications to produce the highest quality and most reliable rebuilds in the industry. All coils are wound on computerized machines for uniformity utilizing Class H wire, phase insulation and all insulating components. All units are dynamometer load tested prior to shipment; this insures that the units can operate properly in the harsh conditions of a plant setting. Matlock Electric utilizes equipment such as our JEMS Armature Cleaning System, CAM Automatic Laser Commutator. Undercutter, Baker Advanced Winding Analyzer, A&W Dynamometer and Miller Syncrowave Welder which enables us to deliver the best quality repair for your equipment.